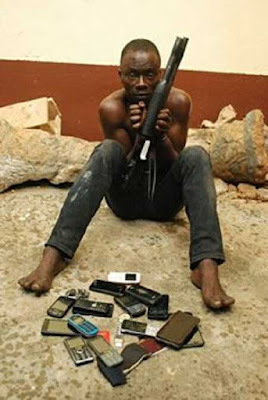 A Facebook user, Malik Nasir has warned Nigerians to be very careful when buying new phones as it could land you in prison without you knowing. He warned Nigerians buying fairly used phones to insist on getting a receipt. 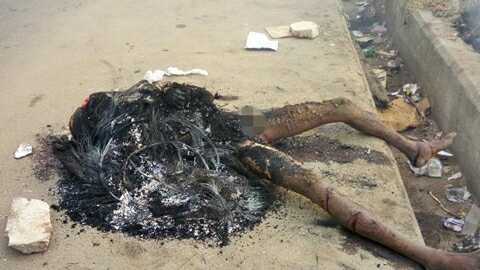 A popular youth in Ogoni, Boy-Yo has been shot dead this evening by some unknown gunmen. 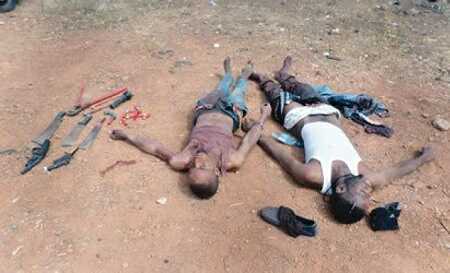 The men are believed to be cultists who belong to a rival group. He was reportedly pursued and gunned down in broad daylight. Baridam Ben who shared the sad news wrote: "Crime does not pay. Ogoni boys should wise up. 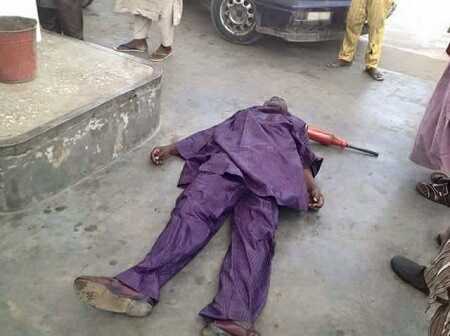 This is the lifeless body of Boy-Yo, gunned down few minutes ago by gunmen. It is painful because he had great promises, great potentials, great energy, but has been swallowed by the street. 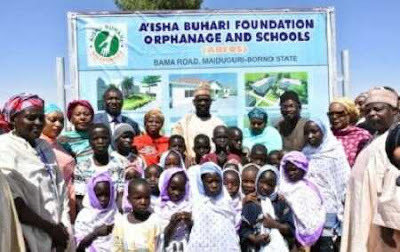 Wife of the President, Mrs. Aisha Buhari has commenced the construction of Aisha Buhari Foundation Orphanage and School in Maiduguri to aid poor, helpless kids in area. The Foundation of the project was laid by the Deputy Governor of Borno state, Alhaji Usman Mamman Dirkwa on Tuesday, February 28, 2017. Two members of a suspected armed robbery gang have been shot dead by men of the Nigerian police during an exchange of gun fire in Oyo state on Friday. According to The Tribune, the gang members also killed a police sergeant, simply identified as Solomon, attached to Ogbere Police Station and injured a private guard during their robbery operations before their encounter with the police. 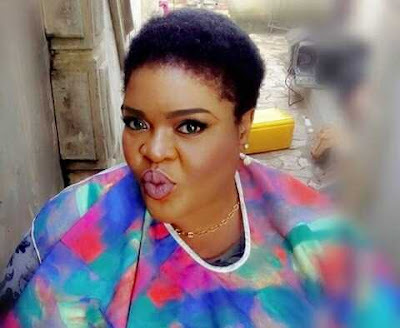 While speaking in an exclusive interview with the Vanguard, renowned Nigerian Actress, Filmmaker, and Musician, Allwell Ademola, who is reportedly the grand daughter of Nigeria’s first Chief Justice (Justice Adetokunbo Ademola), has disclosed how she lost her husband-to-be within two months to their wedding. 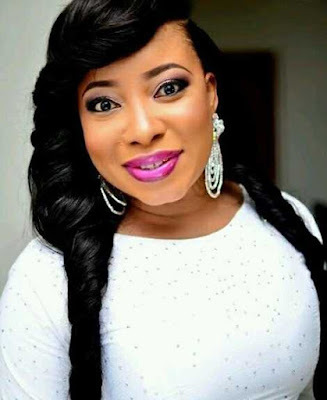 The Ogun state born diva, who has been in the industry since 2008 and famous with her intriguing roles in Yoruba movies, said thereafter, she started a new relationship with the man who would have been their bestman, adding that the relationship with her husband’s friend did not last more than 8 months. 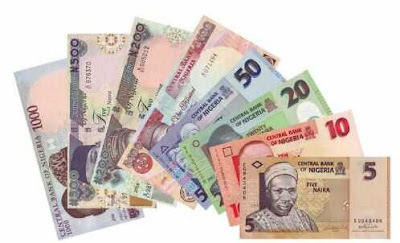 The naira continued to regain strength and appreciate in value in the parallel market on Tuesday as it was sold for N425 to a dollar. 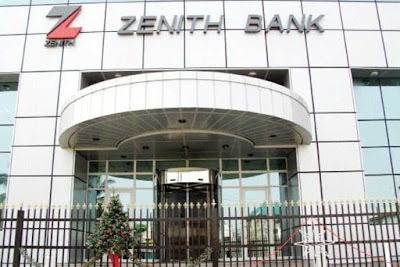 However, it was N450 to a dollar at the close of transactions on Monday. 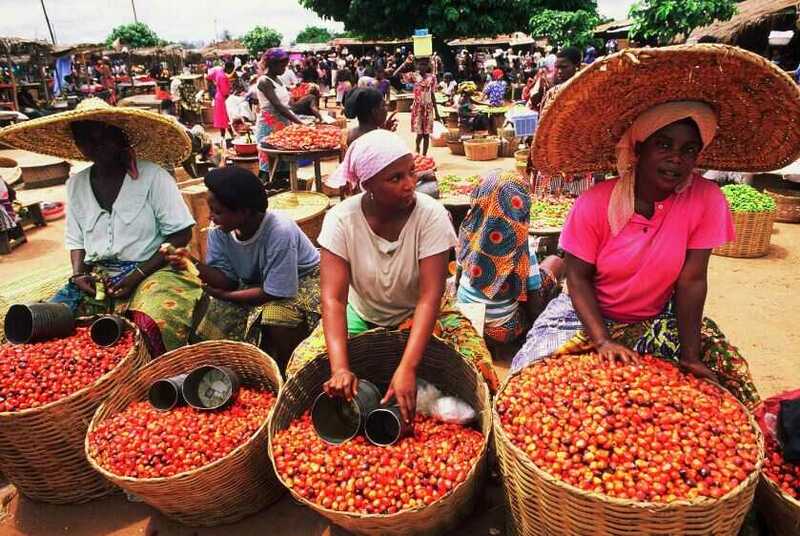 At the Bureau De Change market in Abuja on Tuesday BDC operators bought at the rate of N415 and sold at N425. The BDC operators bought the Pound Sterling at N500 and sold at N510, while the Euro was bought for N420 and sold for N425. 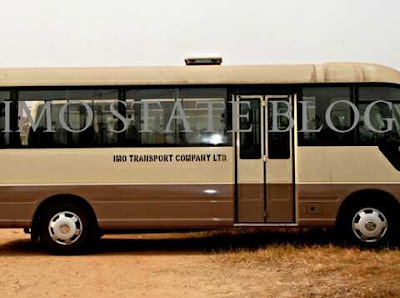 The Imo Transport Company Limited (ITC) in Owerri, was on Tuesday, February 28, shut down by the Federal Inland Revenue Service (FIRS), over a N42 million tax debt incurred between 2008 and 2016. According to Premium Times, the sealing of the company was done by an FIRS enforcement team, led by Ruth Mandeun. 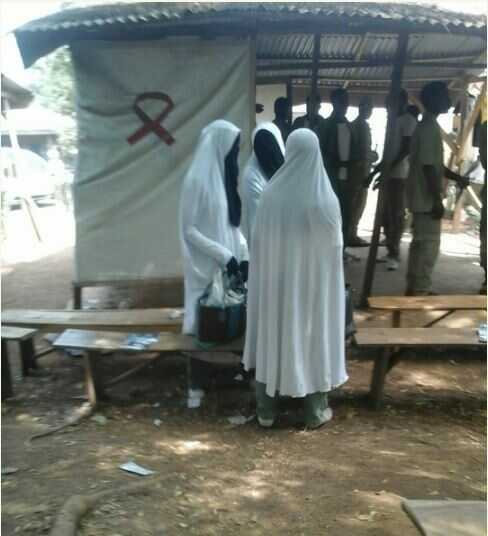 The three ladies veiled their faces at the camp as they looked strange in the midst of their colleagues. Tempers boiled in the House of Representatives after members engaged in a heated exchange of words on Tuesday over the health status of President Muhammadu Buhari. 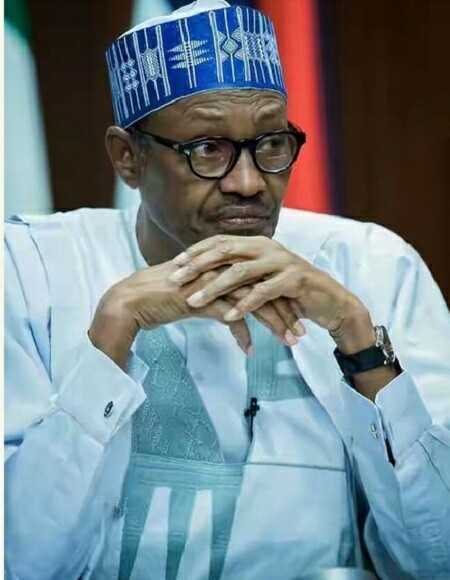 The lawmakers, it was gathered quarreled over the use of the word “sickness” in referring to Buhari or explaining his reason for being away from the country to the United Kingdom since January 19. 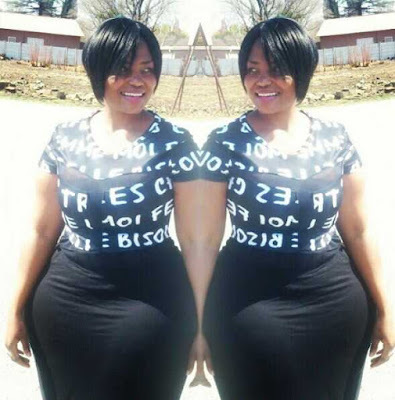 A hot South African woman massively endowed with gargantuan hips has graced social media with her mind-controlling features. The mother of one popularly called Princess Smozamo is a plus-size model who is proud of her stature and also attend social gatherings exclusive to chubby women in her locality. Further reports have it that her original name is Confidence and she lives up to it. Confidence is very religious and she claims to be the 'Princess of Heaven'. She has used her Instagram page of over 2,000 followers to condemn the trend of xenophobia in South Africa. Confidence has over the years grown in 'confidence' with her killer hips which could pass for the largest among her pairs. Members of the Nigeria Police Force are also good-looking regardless of the haggard physical appearances of some officials due to the demands of the job. 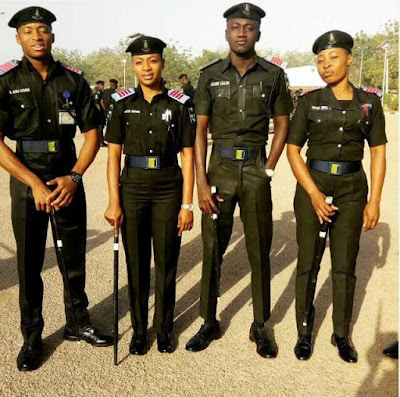 The pictures of some young officers at the police academy has melted the hearts of many Nigerians as they see the blend of cute men and beautiful ladies ready to serve the country at different capacities. The young folks really look neat, smart and full of life. Peoples Democratic Party (PDP) Youth Frontier (PDPYF) has insisted that Acting President Yemi Osinbajo, within 40 days has performed better than President Muhammadu Buhari did in close to two years following the recent recovery of the naira and visits to the Niger Delta. 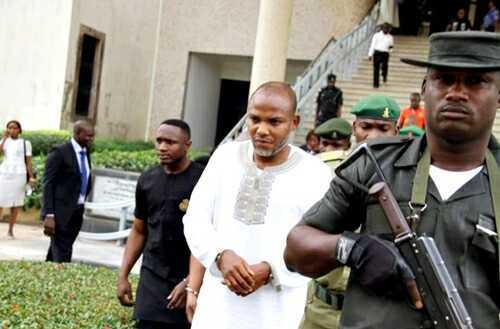 While addressing journalists in Abuja on Monday, a Pan Igbo group - Nzuko Umunna - has asked President Muhammadu Buhari to immediately release the detained leader of the Indigenous People of Biafra (IPOB), Nnamdi Kanu. 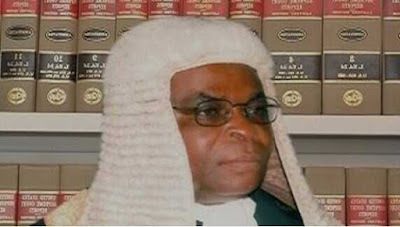 The former Central Bank (CBN) governor, Prof. Charles Soludo, who led the group, said the Buhari-led federal government must obey court orders in order to release the embattled Kanu. 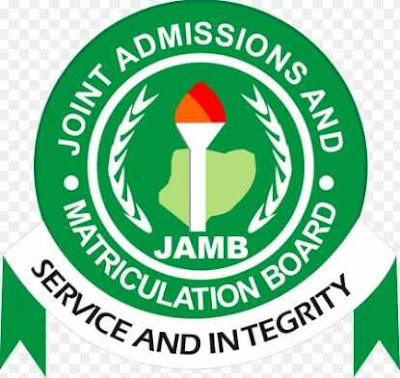 JAMB said this was part of its restructuring in preparation for the 2017 UTME higher institution examination. This means candidates must sit and obtain the results of either West African Examination Council school examination, WAEC, or National Examination Council, NECO, before admission. The board said this will keep candidates from taking the slots they do not qualify for. JAMB also introduced a fourth choice of school, but said candidates can apply to only one government-owned university. 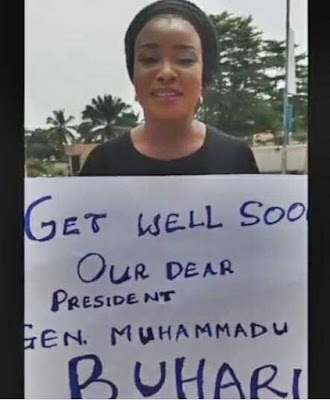 Popular Nollywood actress of Yoruba decent, Lizzy Anjorin, has been captured on camera asking Nigerians to pray for President Muhammadu Buhari, who is away in the United Kingdom on extended vacation. The actress made this call in a video posted on her Instagram page with the caption; "Either you voted for him or not, He needs our prayer..lets show some love plz." 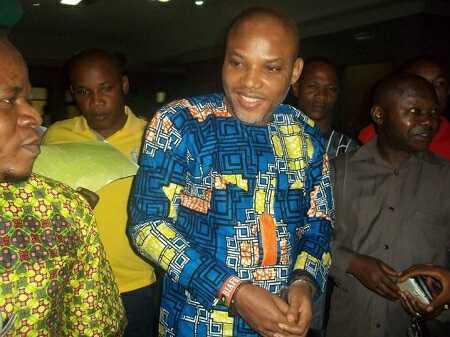 The Movement for the Actualization of the Sovereign State of Biafra, on Tuesday declared that an Igbo man would never become Nigeria’s President. In a statement signed by MASSOB leader, Comrade Uchenna Madu, entitled ‘We insist on Biafra through non-violence, not Igbo presidency’, the secessionist group berated Igbo leaders, describing them as ‘political slaves’ who have no chance of ruling the country. Amina Mohammed, the immediate past Minister of Environment has been sworn-in on Tuesday, 28th of February, 2017 as the UN Deputy Secretary-General at the UN Headquarters in New York, United States of America. 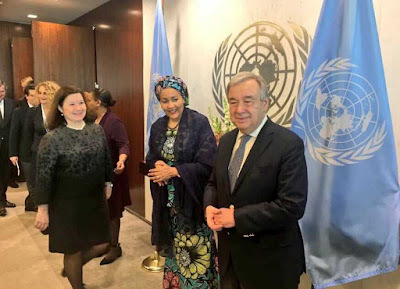 Ms. Mohammed, who was appointed by the UN Secretary-General António Guterres on December 15, 2016 as his deputy, was supposed to assume office on January 1. 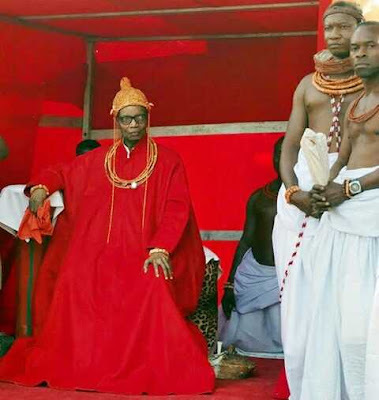 Members of the Nigerian Senate on Tuesday, resolved to name the airport in Benin City, Edo State after the former Oba of Benin Kingdom, late Omo N’Oba N’Edo, Uku Akpolopolo, Oba Erediauwa. According to Punch newspaper, the lawmakers who reached the resolution during the plenary on Tuesday, revealed that the airport is to be renamed as Oba Erediauwa Airport. 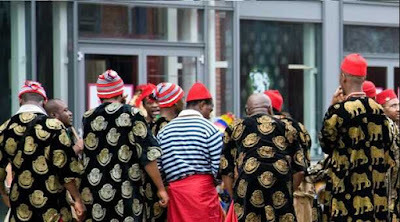 A group of prominent Igbo professionals led by a former Central Bank of Nigeria governor, Charles Soludo today met up with Nnamdi Kanu, leader of the Indigenous People of Biafra (IPOB), in prison. According to SaharaReporters, they will later converge for a press conference at Chelsea hotel in Abuja by 3pm today, to relay the feedback of their visit. 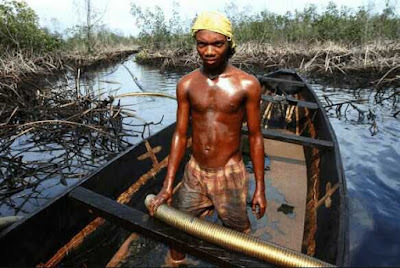 The Federal Government is planning to generate 250,000 direct and indirect jobs through the $20bn Gas Revolution Industrial Park being planned for Ogidigben in Delta State. The Senior Special Assistant to the Acting President on Media and Publicity, Mr. Laolu Akande, disclosed this in a statement on Monday. 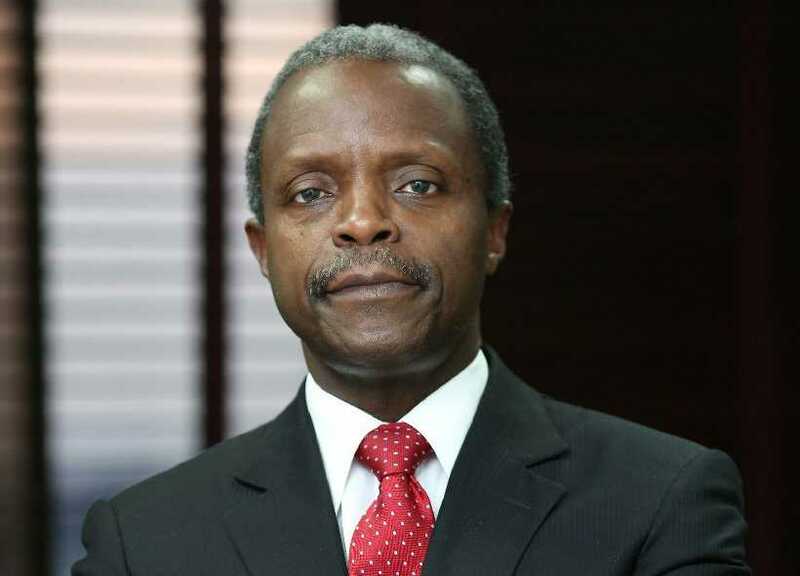 Akande said the decision to set up the park was one of the outcomes of the ongoing consultations the Acting President, Yemi Osinbajo, made in the Niger Delta. A Premium Times report has show that a Medview Airline flight from Lagos to Abuja was suspended midair after a fault was observed on the plane. A passenger on the flight said passengers suspected the plane, with flight number VL 2102, was faulty before takeoff, but they were assured by the pilot and the crew that all was well. 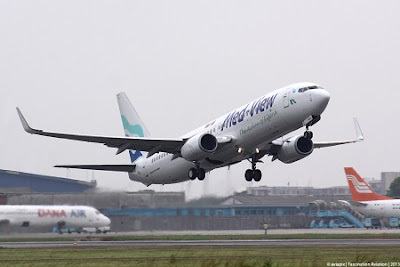 A few minutes after take-off, the plane had to return to the Lagos Airport due to the problem. Nigeria will attract more than 10 billion dollars investments to the oil and gas industry in the next five years, the Petroleum minister Ibe Kachikwu, has said. 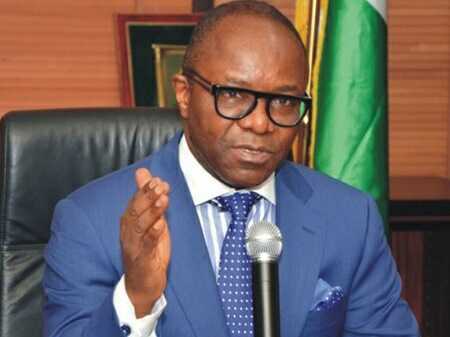 Kachikwu said this on Tuesday in Abuja at the ongoing Nigerian Oil and Gas (NOG) Conference tagged: “Reforming and Repositioning the Oil and Gas Industry in Nigeria’’. Some people got an eyeful recently after a beautiful big girl ran mad and began walking on the streets totally n*ked while clutching her expensive handbag. 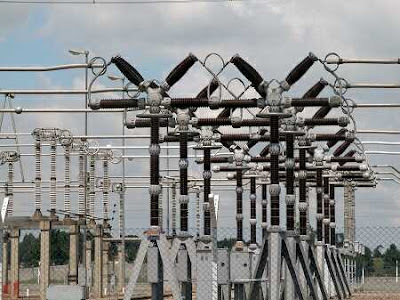 Stakeholders have warned of a looming nation wide blackout soon over latest reconciled N601 billion debt profile owed operators across the power sector value chain, Daily Sun News reports. The N601 billion debt is owed generation, distribution and transmission arms of the power sector, excluding gas producers. 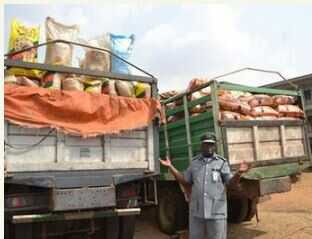 In another dramatic raid, the Nigeria Customs Service (NCS), Oyo/Osun Command, has seized 9,000 bags of imported rice in a warehouse in a market in Ibadan, the Oyo State capital. The Comptroller, Temitope Ogunkua, who promised to stop illegal importation of goods, said during the night raid of the warehouse in an undisclosed Ibadan market, one suspect was arrested. Gov. 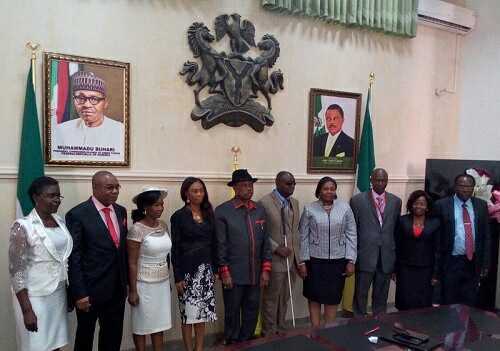 Willie Obiano of Anambra on Tuesday inaugurated nine newly-appointed permanent secretaries with a call on them to deploy their wealth of experience for the development of the state. Obiano said that the new appointees, including a physically-challenged and five women, were selected on merit and advised that they should not relent in service delivery. Multi-award winning actress, singer, philanthropist and former model of an Ondo descent from Lagos, Omotola Jalade-Ekeinde, who is married to a Nigerian pilot, Captain Matthew Ekeinde, has turned 39 and celebrated her day in style. Over the past few days, the superstar actress has been celebrating her 39th birthday in South Africa with a few of her friends, including fellow Nollywood actress, Rukky Sanda and celebrity stylist, Swanky Jerry. 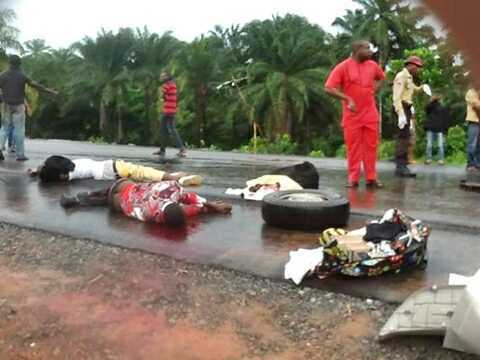 Two heavy duty trucks collided with two hummer buses on the ever-busy Owerri–Onitsha expressway in Imo State on Monday as no fewer than 25 people were feared dead after the tragic car crash. According to a report by Punch, the ghastly accident occured at Catering school Junction and Okpokija Junction, respectively in Irete community in the Owerri West Local Government Area of the state between 4 and 4: 20 pm interval. President of the Senate, Senator Bukola Saraki, at the plenary on Tuesday, announced that the lawmakers would conduct a screening for the Acting Chief Justice of Nigeria, Justice Walter Onnoghen, on Wednesday. The French are set to elect a new president in April and the events have generated much drama with a foreigner tipped to rule the people. Those who are unhappy with the current candidates are making a last ditch attempt to recruit another contender, Barack Obama who is currently enjoying life outside the whitehouse. 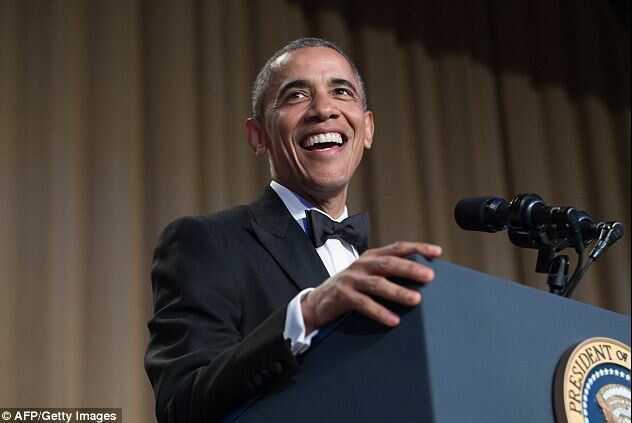 The Obama17 petition is currently circulating with the aim of gathering 1 million signatures to convince the former U.S. president to run for office in France. About 500 posters of Obama's face have been plastered across Paris in recent days, urging people to visit the petition website. A popular Liberian pastor, Solomon Gueh, has taken to the social networking platform, Facebook, to share some adorable romantic moment with his wife and encouraged married men to express love to their wives in all manners. From London where he is vacationing, President Muhammadu Buhari, last week, extended a lifeline to founder of the moribund Movement for the Emancipation of the Niger Delta, MEND, High Chief Government Ekpemupolo, alias Tompolo. 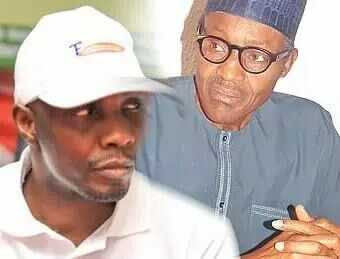 Tompolo, also the former General Officer Commanding, GOC, MEND, and Ibe-Ebidouwei of Ijaw nation, visited President Buhari few months into his administration in Abuja and assured him of his co-operation, but events later on, especially the bombing of pipelines by militants and hunt for the ex-militant leader over alleged sleaze, not only put a wedge between them, but compelled Tompolo to go into hiding until date. Nigeria international Ogenyi Onazi has revealed that he has finally opted out of what he described as “a mega” transfer to China. 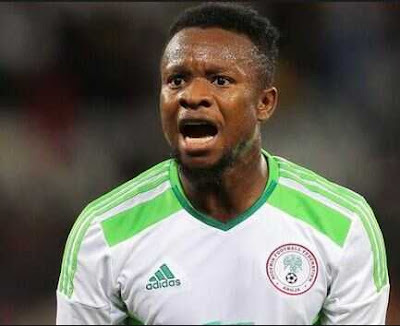 Super Eagles skipper Mikel Obi as well as fellow internationals Brown Ideye, Odion Ighalo and Chinedu Obasi have already grabbed the huge cash the Chinese league now offers. The National Bureau of Statistics on Tuesday released the Gross Domestic Product growth rate for the country with the economy recording a contraction of -1.3 per cent in growth rate in the fourth quarter of 2016. The NBS in the report explained that in real terms, the economy recorded a decline of N240.8bn from N18.53trn in the fourth of 2015 to N18.29trn in the fourth quarter of 2016. 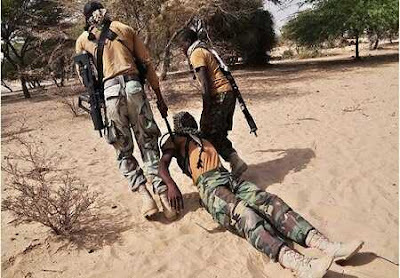 About 18 Boko Haram terrorists have been killed by the troops of the Nigerian Army when the insurgents invaded Kumuya village in the Gujba Local Government Area of Yobe State. The insurgents had invaded the in an attempt to cart away food, but a gun battle subsequently ensued between them and the troops, leading to the death of 18 casualties. The naira is on a speedy way to recovery following the new forex policy by the Central Bank of Nigeria. Just in less that one week, the naira has gained over N85 against the dollar with many predicting that the Nigerian currency will gain more. 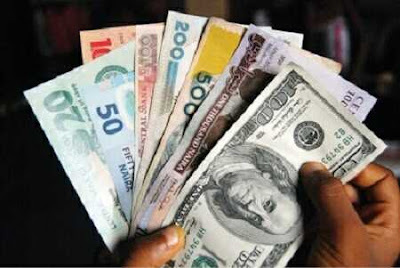 The currency exchanged for N430 to the dollar late Monday at the parallel market. It was N460 to the dollar at the weekend. 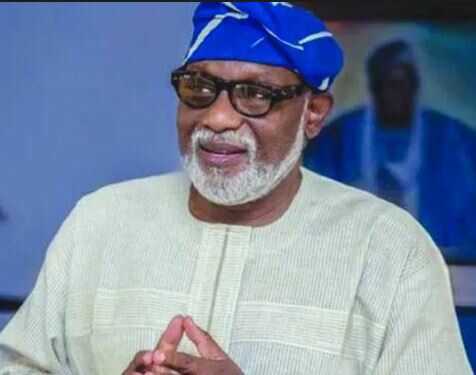 The Ondo State Governor, Mr. Rotimi Akeredolu, has vowed that he will not collect any salary until all the workers in the state’s civil service are paid their salaries. He appealed to the doctors and nurses who are currently on strike to end their industrial action and embrace dialogue with his government. 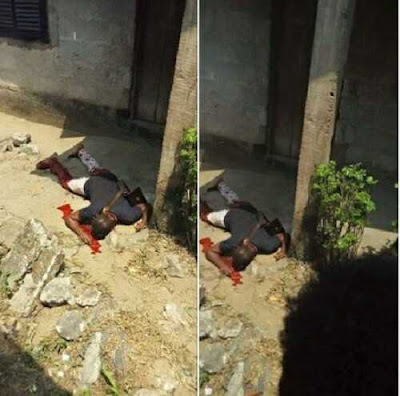 It was a shocking sight to behold as three Bakassi (Vigilante) boys were shot dead by unknown gunmen in broad daylight along Aba Owerri road, Aba, Abia state on Monday. 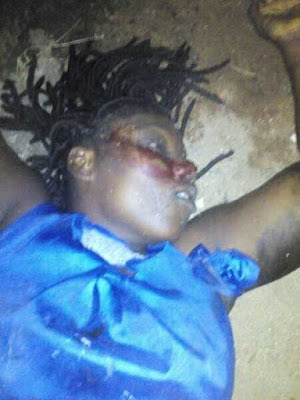 The incident took place before MCC Junction, opposite Seventh Day Adventist Church (Sabbath), opposite Toonak. 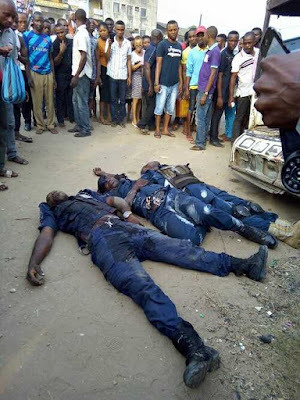 Three of the vigilante men dropped dead instantly while two of them have been admitted to Abia State Teaching Hospital for treatment. 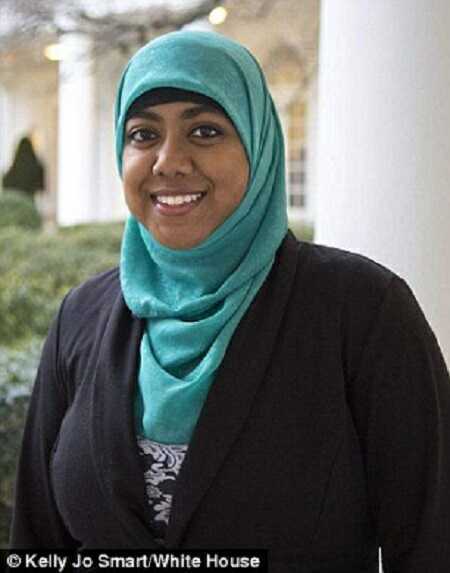 Rumana Ahmed, a Muslim-American national security staffer has resigned after eight days working in the Trump administration. According to a report by Daily Mail UK, the young woman said it was 'an insult' to work under the current president. Rumana Ahmed is a Muslim and an American citizen whose family moved to Maryland from Bangladesh. She was hired to a job at the White House straight out of college while Obama was still president. When Trump was elected, she optimistically tried to stay on at the National Security Council, but after eight days realized that she could not continue to work there. A Federal Capital Territory High Court, sitting in Jabi, Abuja, has ordered that Alhaja Moroophat Obanikoro, the wife of a former Minister of State for Defence, Senator Musiliu Obanikoro, should forfeit her property pending the outcome of investigations into her husband and children, The Punch reports. The court also rejected a prayer asking the Economic and Financial Crimes Commission to pay her the sum of N200m for violating her fundamental human rights. Obanikoro’s wife has, however, headed for the Appeal Court to challenge the court judgment. 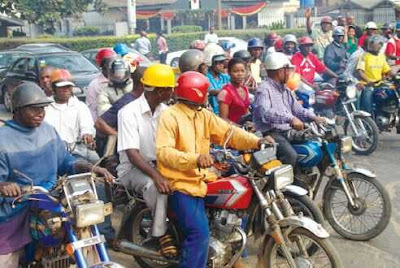 The Lagos State Government on Monday said it has concluded plans to commence the crushing and recycling of over 4,000 impounded commercial motorcycles, popularly called Okada, in line with the provisions of the State Traffic Law 2012. The State Commissioner of Police, Fatai Owoseni, said the recent clampdown on Okada across the state was a fall out of the government’s resolve to address the security concerns posed by their operations, saying that criminals are in the habit of using okada to perpetrate crime and getting away. The naira has continued to gain against the United states dollar as it closed at N445/$1 at the parallel market on Monday following injection of dollars to the market by the Central Bank of Nigeria. The CBN has sold additional $180m into the market this week, barely one week after selling about $600m. The steady supply of forex is in line with the modification made to the forex policy by the regulator. The CBN last Monday commenced the implementation of the reformed forex policy with a promise to sell $1m weekly to each of the 21 commercial banks in the country. The local currency, which had tumbled to 520/dollar last Monday, closed at 450 on Friday. 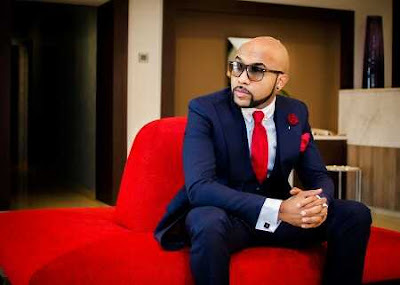 A property located along Admiralty Way, Lekki Phase 1, Lagos where popular singer, Banky W, lives has been destroyed by fire, Punch Metro reports. A neighbour to the artiste revealed on the telephone that the fire was caused by a faulty air conditioner. The fire was believed to have started around 6am. 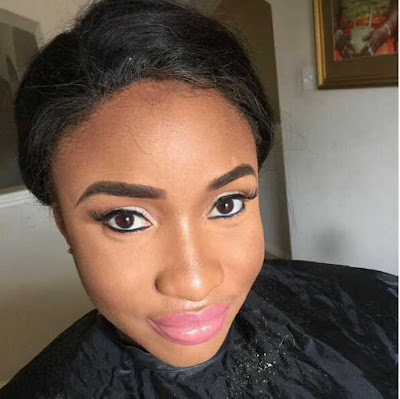 Has Tonto Dikeh found love again? Tongues have been wagging since the sudden intimacy between Tonto Dikeh and Raphael 2Kriss shortly after she left her husband’s house. It seems that she has found solace in the warm hands of a younger lover named Raphael. 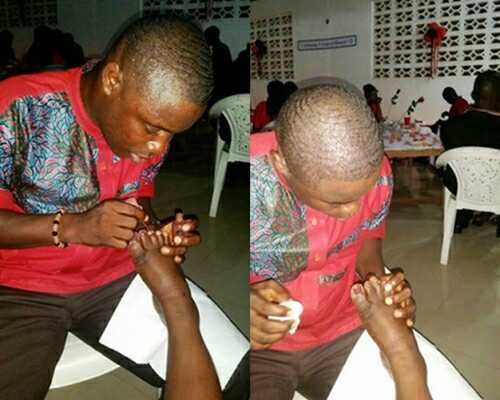 He was said to have played the fatherly role at her son’s birthday party. 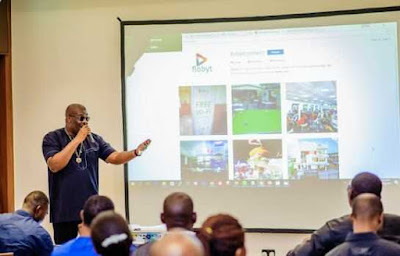 Mavin Records boss, Don Jazzy said the reason he has not been getting endorsement deals in recent was because he’s outgrown being a brand ambassador at this stage in his career. 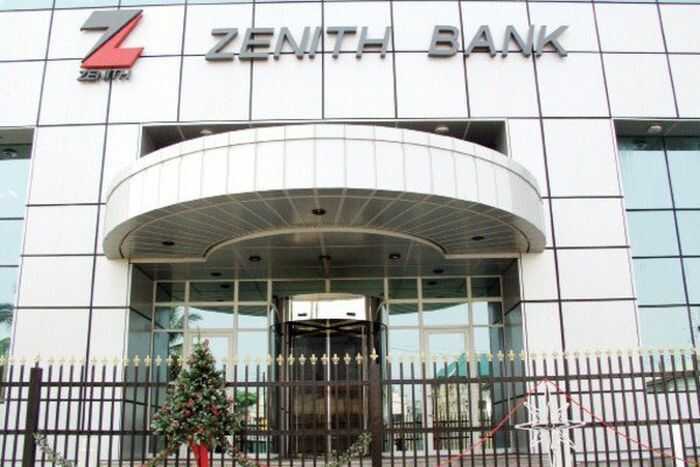 Zenith International Bank Plc has declared a profit after tax of N129.65 billion and a final dividend of N1.77 per share for the financial year ended December 31, 2016. This is contained in the company’s audited report released by the Nigerian Stock Exchange (NSE) on Monday in Lagos. A Facebook user identified as Ifere Paul, who is an English - Chinese translator at Aso Rock villa, Abuja, has taken to the social networking platform and narrated the shocking story of how a suspected thief was sent to early grave by angry group in Cross Rivers state.